Stumbling Blocks: Consequences, part 1 (beyond 25) | "A Song Every Day"
Posted on April 29, 2015 by vspatz	in Counting the omer, Ethics, guarding the tongue and tagged Association between an Internet-Based Measure of Area Racism and Black Mortality, Chris Hayes, counting-the-omer, Franchesca Ramsey, omer, PLOS One. This essay breaks down some key points. 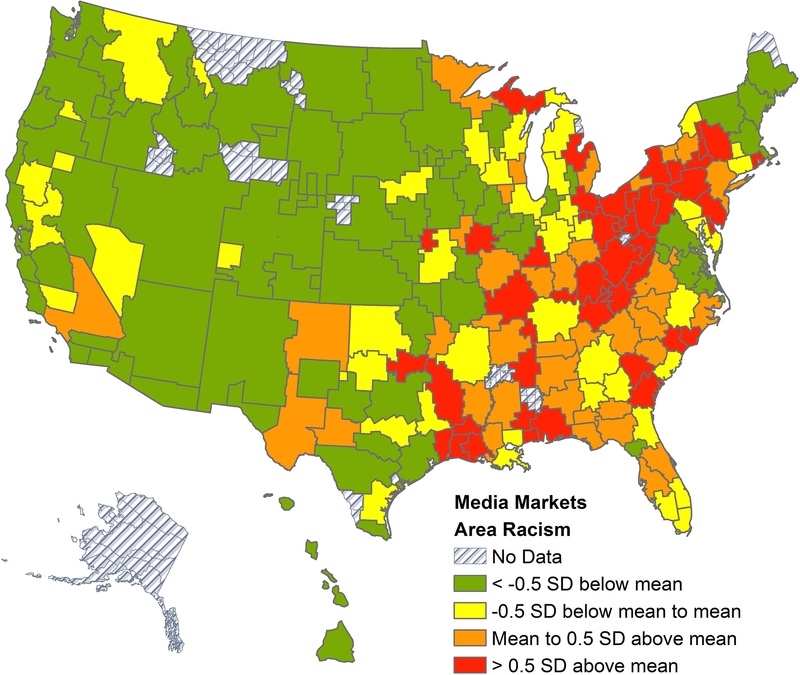 Recent research links racism — studied through a “search-based proxy of area racism” (based on vocabulary) — to Black mortality. Racist language has deadly — actual human health, not metaphor — results. In this way and so many others, allowing the use of racist language to go unchallenged “gives the means, or prepares the way for wrong” (see yesterday’s post). We counted 25 on the evening of April 28. Tonight, we count…. from On the Road to Knowing: A Journey Away from Oppression A key element in the journey from liberation to revelation is understanding the workings of oppression, and our part in them. We cannot work effectively to end what we do not comprehend. Aware that we are on a journey toward knowing God — from liberation to revelation — I undertake to know more today than I did yesterday about the workings of oppression. I bless and count [full Hebrew blessings in feminine and masculine address]: Blessed are You, God, Ruler/Spirit of the Universe, who has sanctified us with Your commandments and commanded us to count the Omer. Today is twenty-six days which are three weeks and five days in the Omer. Hayom shishah v’esrim yom shehaym shloshah shavuot vechamishah yamim la-omer.